Maybe not a good red carpet look, but a perfect "blue" carpet one, for sure! 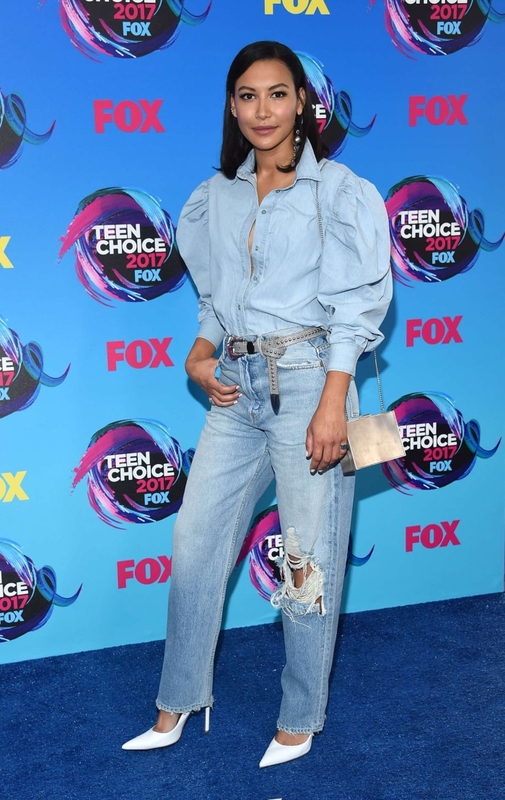 Naya Rivera arrived at the Teen Choice Awards this year, and despite making the worst dressed list, we are inclined to disagree. We actually rather like her ode to double denim. The high waisted straight leg jeans and the totally insane denim shirt were a breath of fresh air on the red (but actually blue) carpet. Plus, she’d added pointed white pumps and a white studded leather belt to dress the look up. Her shirt with incredibly eye-catching puff sleeves (70’s welcome back! ), is by Marques Almeida and there are a couple still available at Forward by Elyse Walker. The good news is that it’s on sale too! You can shop for similar straight leg jeans and here.